The Good Shepherd School and Orphanage are near completion. 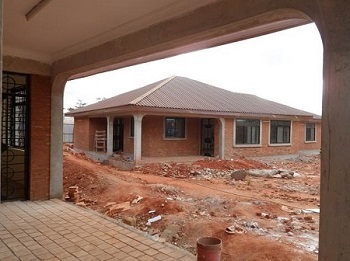 The Orphanage was completed at the end of 2013 and the school will be completed in early 2014. Approximately 48 primary school children will be moved from the current orphanage in Morogoro where the new medical school is slowly taking over the land and old buildings. The secondary school children from the current orphanage will attend other schools. In a country where AIDS, malaria and maternal death rates are high, orphans swarm the country. We can only do a small part…but at least a part. By giving the children a loving and secure environment, we hope that they can be raised with a strong personal foundation of faith, knowledge and human development. We want our children to have a future. The financial support for the care of our orphans comes solely from our friends. The Tanzanian government gives nothing for their support. We ask you to help us help them. We currently care for seventy orphans at two centers.